Does your packaging application require glue to be applied from a 90 degree angle? Depending on how you mount your glue applicator head will determine the type of nozzle needed. The 90 degree nozzles for the standard Nordson modules are made with single, dual and triple orifices. The nozzle swivels so you can adjust to the exact location needed. If you need to apply adhesive where space is limited, you may want to consider using an extended nozzle that is drilled to shoot at 90 degrees. 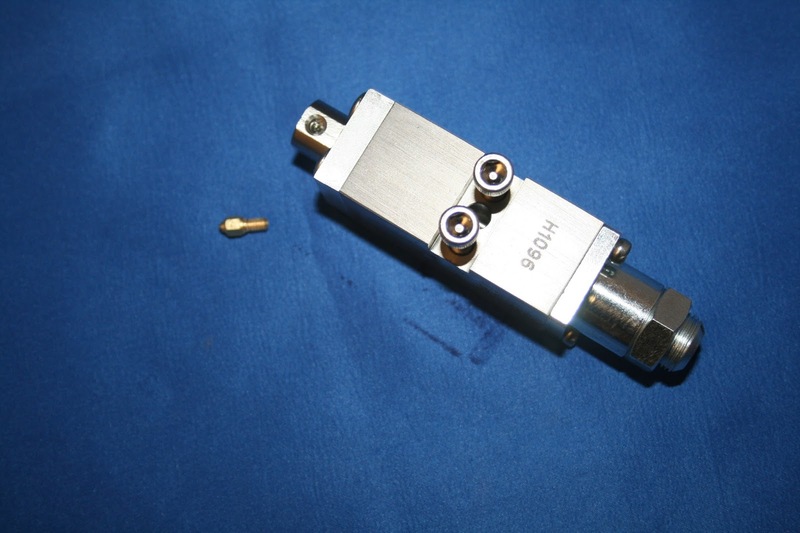 This nozzle will also fit the standard Nordson modules. This nozzle requires a retaining nut - KNRN238. This nozzle can rotate to adjust where you need glue to be applied. 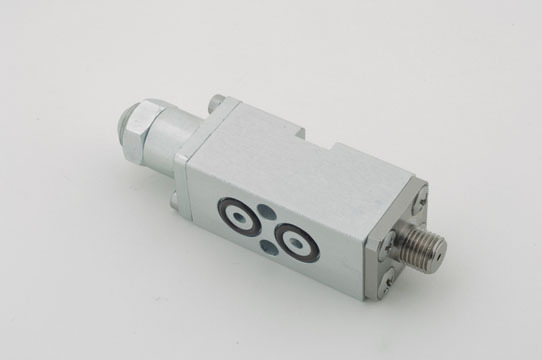 Another option is to use a needle nozzle in a right angle module. The limitation with this setup is that the nozzle is fixed and cannot swivel versus the swivel on the right angle nozzle as shown in the first picture above. Let me know if you need assistance with your nozzle set up.